We were refused Planning Permission by Wicklow County Council for the Ballinastoe House because it ‘looked too unusual’, this highlights the ‘political’ context in which we were operating. 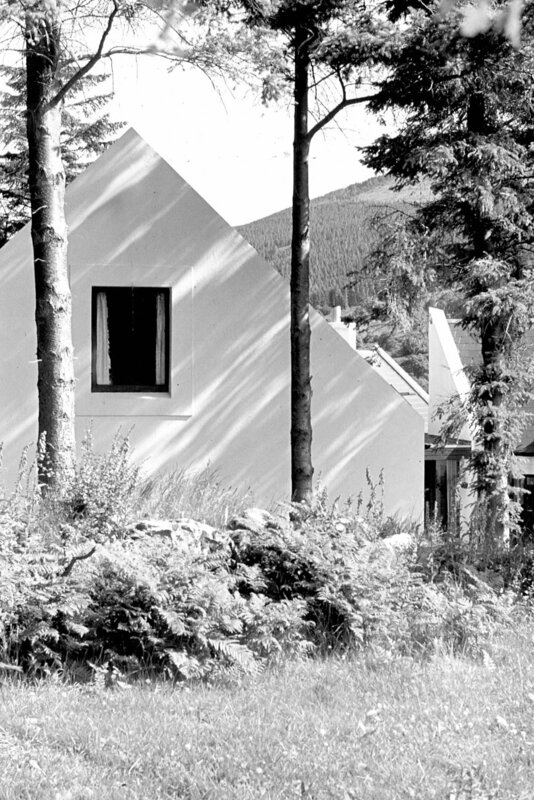 To get any permission to build in the very scenic Glencree Valley, was only possible where one was replacing an existing dwelling – usually an old cottage. The brief in this case was to seek permission for two quite substantial houses to accommodate two large families of two related clients, one of which would be located on the site of an existing dwelling – a cottage and associated outbuilding. 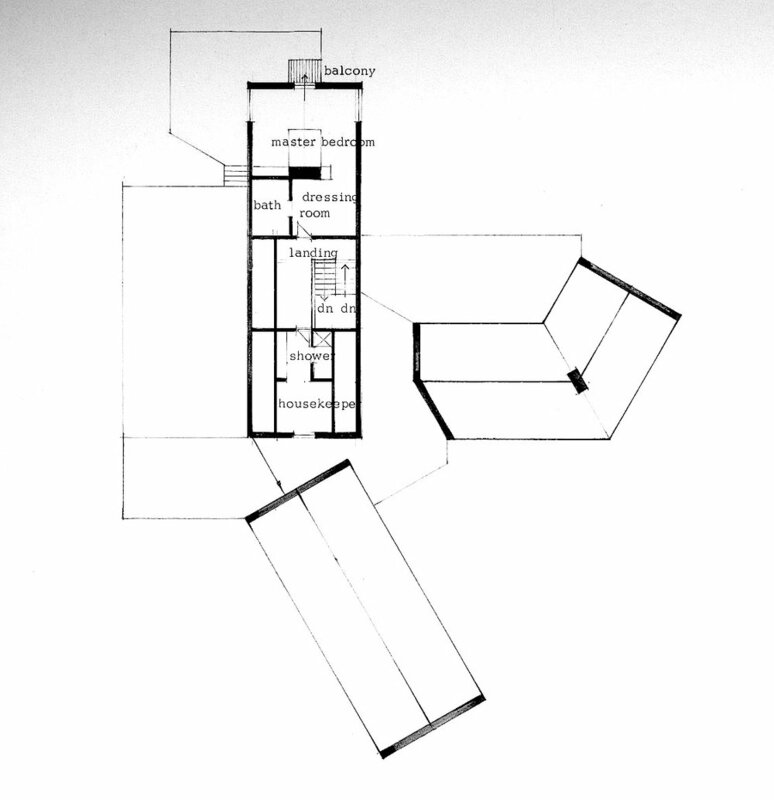 In order to reduce the ‘bulk’ of the proposed dwellings, we ‘trifurcated’ the mass of each into three cottages, and we located two of the three cottages of the first house, on the footprint of the two existing cottages and added the third. This allowed us to insert the building into the existing site, retaining old dry stone walls and existing trees. We had to ‘take afternoon tea’ with the committee of the local branch of the National Trust, and obtain their blessing, before submitting to Wicklow County Council for approval, which we did obtain. Eventually the project was awarded a National Trust Award for ‘Building In Context’ in 1984. Ironically, while I was railing against the restrictive and prescriptive demands on architectural freedom when designing in rural Ireland, this project was used to illustrate the front cover of a book ‘Building Sensitively in Ireland’s Landscapes’, published by Bord Failte, the Irish Tourist Board, and An Taisce, the Irish National Trust, and produced by the Housing and Urban Design Research Unit at the School of Architecture, University College Dublin. [ISBN 0 901120 96 0] which was produced to discourage the worst outrages of inappropriate ‘Bungalow Bliss’ blighting the Irish countryside. An Taisce, Irish Nation Trust Award 'Building in Context', 1984.